If you are an experienced Class A driver and interested in working for a quality carrier, please apply or contact us today in the Mountain Park, GA area! If you are an experienced Class A driver and interested in working for a quality carrier, please apply or contact us today in the Jamestown, NC area! Hiring CDL A OTR Company Driver Great Benefits in the Afton, MN area! If you are an experienced Class A driver and interested in working for a quality carrier, please apply or contact us today in the Lizton, IN area! If you are an experienced Class A driver and interested in working for a quality carrier, please apply or contact us today in the Lino Lakes, MN area! Hiring CDL A OTR Company Driver Great Benefits in the Wentworth, NC area! If you are an experienced Class A driver and interested in working for a quality carrier, please apply or contact us today in the Mount Ulla, NC area! If you are an experienced Class A driver and interested in working for a quality carrier, please apply or contact us today in the Casa Grande, AZ area! If you are an experienced Class A driver and interested in working for a quality carrier, please apply or contact us today in the Bloomington, IN area! If you are an experienced Class A driver and interested in working for a quality carrier, please apply or contact us today in the Lombard, IL area! 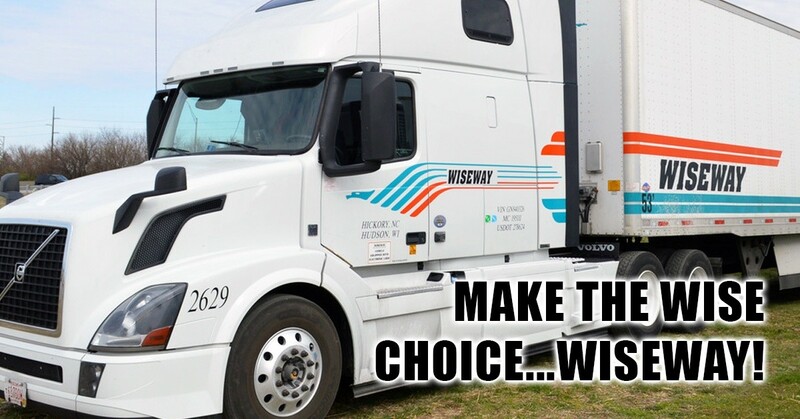 Wiseway Transportation is hiring for all Class A Driving positions. Relay, Regional and OTR opportunities are currently available at our Hudson terminal. At Wiseway, we take great pride in hiring professional drivers that share our commitment to customer service and safety. We strive to provide our drivers with a well rounded program that allows them to balance a successful career and quality time home with their families. Drivers can expect consistent earnings, frequent home time and a wide array of benefits. If you are an experienced Class A Driver interested in working with a quality carrier, we encourage you to consider joining our team. Applicants must be 23 years old and have one year tractor/trailer experience.